Actor #RajkummarRao says he is completely okay being called out as the new couple in town with #AnilKapoor. After the Rakeysh Omprakash Mehra's directorial 'Fanney Khan', Anil and Rajkummar will share screen space in 'Ek Ladki Ko Dekha To Aisa Laga'. "People are saying there is a new couple in town in the form of both of us and I am completely okay with it. I have no problem with that,". 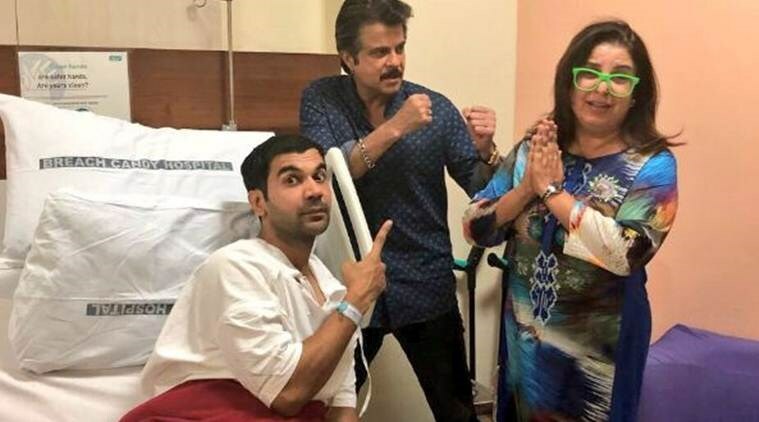 Makers of 'Fanney Khan' recently released the film's full length trailer, when asked about the trailers response, Rajkummar said: "I am really happy with the overwhelming response to the trailer. I have always been a big fan of Anil Kapoor and Aishwarya Rai Bachchan. It's a really sweet film made by a great team and I am playing a very beautiful character in it. People are praising the character of Anil Kapoor sir in the film, and the chemistry between Aishwarya Rai and me is also being appreciated." Rajkummar just returned from shooting for the Ekta Kapoor production, 'Mental Hai Kya' with Kangana Ranaut in London. While talking about his upcoming releases, Rao said: "'Fanney Khan' is my second release of the year 2018 after 'Omerta' and the trailer of 'Stree' will be launched soon, for which I am equally excited. After that, I have 'Ek Ladki Ko Dekha To Aisa Laga'. So I am very happy the way it's going and the way my film journey is shaping up. It's a humble beginning of this year and I just wish this year also brings same amount of happiness and work satisfaction for me like last year." Rajkummar Rao starrer 'Fanney Khan' is reportedly the remake of Dutch film Everybody's Famous and talks about the shades of a father-daughter relationship. Produced by Rakeysh Ompraksh Mehra,the film is set to hit screens on August 3.